Forest Hills Stadium is located in a residential area. There is no parking at the venue, and there is limited on-street parking. The streets immediately surrounding the venue will also be closed before and after each show. Beat traffic and save yourself the hassle of looking for parking. Parking.com offers convenient parking at Lane Towers Garage and Parker Towers. 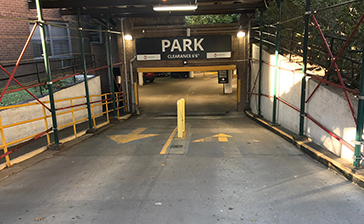 Both locations are located on Queens Boulevard, just a short walk from Forest Hills Stadium, and minutes away from Horace Harding Expressway, Grand Central Parkway, and Jackie Robinson Parkway. Click on the map shown for parking details, including rates, entrances, and hours of operation. Online reservations are available for the Lane Towers Garage. Beat traffic and save yourself the hassle of looking for parking by reserving a guaranteed parking spot. Simply click on the "Reserve" button next to the location name in the map to pre-purchase parking. Originally built in 1923 as home of the U.S. Open, Forest Hills Stadium has played host to many iconic concerts and events. Legendary artists who have performed at the venue include the Beatles, The Rolling Stones, Bob Dylan, Barbra Streisand, Frank Sinatra, Jimi Hendrix, Diana Ross, and Simon & Garfunkel. The stadium closed in the mid 1990s because it became too expensive to maintain. In mid 2013, a $3 million restoration was performed at the stadium and it reopened in August 2013. 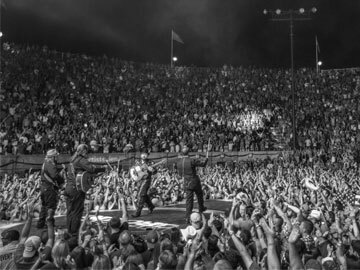 Since the reopening, major acts who have performed at the stadium include Mumford & Sons, Ed Sheeran, Zac Brown Band, The Who, James Taylor, D'Angelo, and Drake.